Set up a flexible marketplace on your online shop and allow your customers to sell products using Marketplace Pro module by FME Modules. Buy this product and get money (2 points) in reward! First time on PrestaShop, MarketPlace Pro module lets you turn your store into a multifunctional marketplace. Allow your customers to sell their products on your shop and in return, you can charge seller fee on each order. 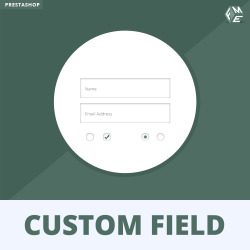 Vendors can create their seller account where they can add products, edit or delete existing products, track their orders and withdraw payments. The powerful dashboard lets them see their revenue on a multi-dimensional graph. Admin can allow/ disallow auto approval for each new product vendor adds this gives admin full control over them. Admin can also set a minimum withdrawal amount. There is also an option for admin to set the “Holding time” for payments before approving them. Admin can also set “Seller Fee” for each order as a percentage, giving them the opportunity to earn at the same time. Our module does not use overrides to modify PrestaShop core resulting in high stability of your site. Payment detail : Seller can manage their payment method and payment detail which is used when their payment is done by admin. Transaction detail : Seller can also see their total transaction detail with paid, cancel, success and pending. Option to include Tax in "Seller Fee"